Today, the talk of the soccer world is Barcelona’s sublime 5-0 destruction of Real Madrid. Come Thursday, though, for a brief moment at least, international soccer will grab the spotlight once again, as FIFA announces the hosts for the 2018 and 2022 World Cups. Political leaders and celebrities—from David Cameron to Elle MacPherson—from eleven prospective host countries have descended on FIFA’s Geneva headquarters for last-minute lobbying of the 22 executive committee voters. There are many intriguing storylines around the 2018 bids: England’s push for its first World Cup since 1966, the Netherlands-Belgium joint “green World Cup” bid, Spain and Portugal hoping to secure the tournament together even though their finances are far from secure. But, while the 2018 winner will just be whichever European country tickles FIFA’s fancy, the choice for 2022 will be of far greater importance. Five countries are bidding for that tournament: the United States, Australia, Japan, South Korea, and Qatar. On paper, the United States should be the runaway favorite. Logistics are the key to pulling off a successful World Cup: South Africa was only barely ready in time for the 2010 tournament, and, already, officials have expressed concerns about Brazil’s preparations for 2014. The United States, by contrast, has the best facilities of all the candidates. The country is so well-prepared that FIFA has frequently designated it as a short-notice backup host for various smaller tournaments. As for profitability, again nobody can compete with the United States: The 1994 World Cup remains the best-attended in the tournament’s history, American stadiums would be able to charge higher ticket prices, and the country’s immigrant make-up would guarantee support for all 32 participating countries. McKinsey & Co., enlisted by FIFA to evaluate each bid’s revenue potential, gave the U.S. a perfect score of 100 percent, far ahead of its 2022 competitors. 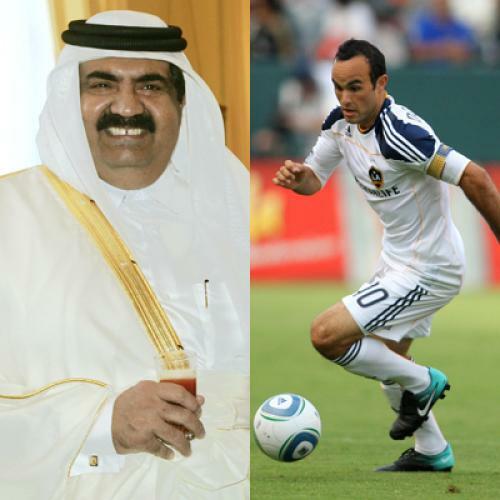 Qatar has also signed up a host of managers and retired stars to lobby for its bid. French legend Zinedine Zidane, for example, is featured in a TV ad campaign running on Geneva television. (Zidane stands to earn almost $15 million from the Qatari bid committee if Qatar is awarded the cup, and $3 million even if they are not.) Other big names, such as former Argentina star Gabriel Batistuta and current Barcelona manager Pep Guardiola, who were lured to Qatari clubs with big contracts in the twilight of their playing careers, are now on the emirate’s bid payroll, too. That Qatar is throwing around so much money (and promises of more of it) is worrisome, given how vulnerable FIFA is to the lure of cash. To host a World Cup, a country has to submit to a “comprehensive tax exemption” for FIFA’s staging of the event, and in some cases even agree to waive any prosecutions for money-laundering. Senior FIFA officials, including North American confederation president Jack Warner and Brazilian confederation president (and 2014 World Cup chair) Ricardo Teixeira, have skimmed money off of teams and leagues in their regions. Two years ago Swiss investigators put together a 200-plus page complaint detailing hundreds of cases in which FIFA officials took bribes. And even World Cup voting is vulnerable to corruption: Just recently, two members of the committee voting on the 2018 and 2022 bids were caught by London’s Sunday Times offering to sell their World Cup votes. FIFA has since suspended the pair, but other voting members were then implicated in past bribery scandals by the BBC’s Panorama program. While no Qatari officials have been linked to any scandals yet, the chairman of the country’s bid has already had to deny reports that Qatar promised to trade votes with the Spain/Portugal 2018 bid. Anti-corruption watchdog Transparency International, noting the misconduct and rumors surrounding Thursday’s vote, asked FIFA to postpone it—but the group declined. So the soccer world will be watching Geneva to see who wins out: a country (be it the U.S. or another contender) actually able to host the 2022 tournament, or the one willing to flash the most money in the face of an organization perpetually dazzled by it.